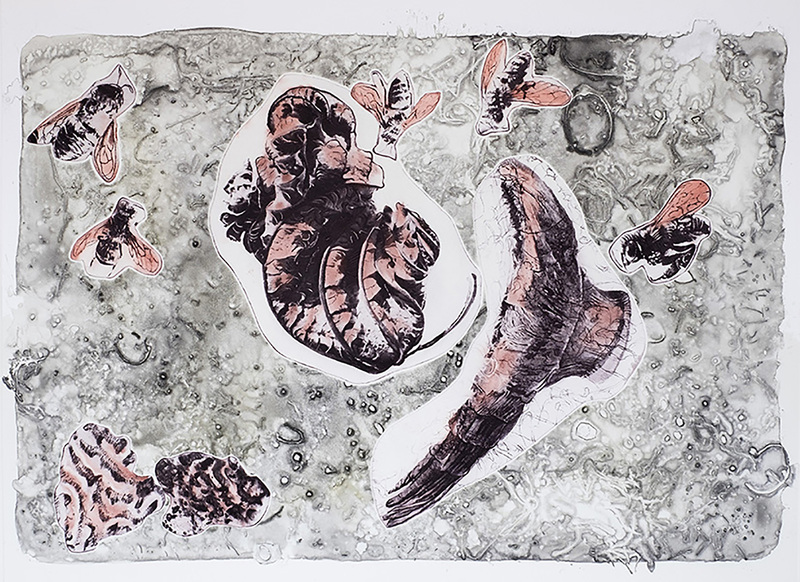 Apis & Janus, 2016, Watercolor Monotype, solar plate etching on BFK Rives, 20” x 25” I often work with print process experimentally to explore images symbolically that may be transferable to my large, mixed-media paintings. Among the images combined here are honey bees and a leaf with the common name Janus. True honeybees are a member if the genus Apis, while Janus is the Roman god of beginnings, transitions and endings.